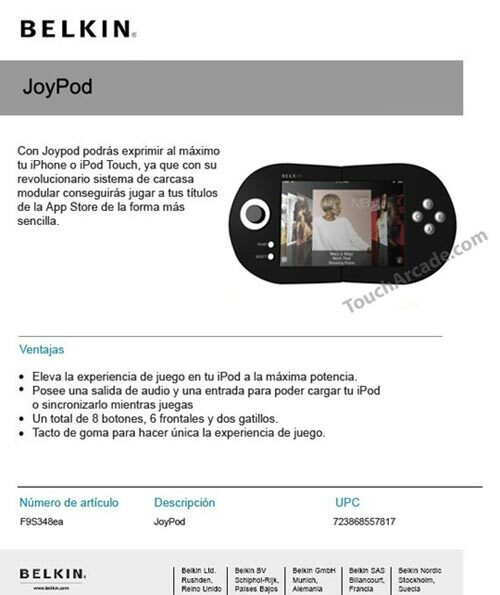 The guys over at Touch Arcade have received some interesting images, of what is reported to be a new iPhone gaming controller from Belkin called the JoyPod. Now no one knows for sure, whether these images are 100% real or a clever photoshop job, but from the looks of it they look pretty convincing. 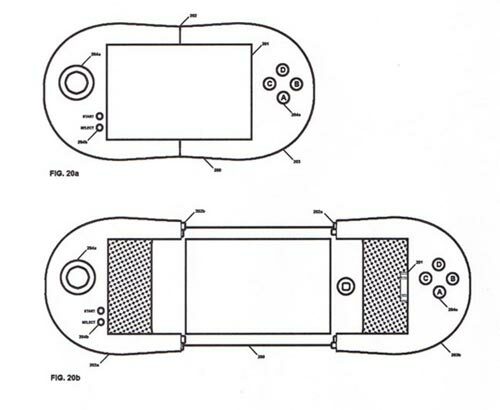 As you can see from the image above, the Belkin JoyPod is designed to slip over the iPhone, and it has 8 controls which use the iPhone’s touch screen interface to control the game. According to the anonymous tipster who sent the images to Touc Arcade, Belkin will begin testing the JoyPod in October, and it is reported to have full support for all App Store games, which would certainly make iPhone gaming a lot more fun. Lets hope this is an actual accessory for the 3G iPhone, and not a clever photoshop job.